September 25, 2015 / autsadmin / Comments Off on A Second Chance for Second Chances? After much hand-wringing and heartache, we’ve canceled tonight’s Bad Advice & Second Chances show due to rainy weather. We asked and you told us the outdoor venue is an indispensable part of the magic. We agree. We also feel strongly that Audio Under The Stars should always be welcoming and open to all, so we balked at the idea of turning anyone away from an indoor venue that’s too small for all our friends. Which brings us to another remarkable milestone. This summer our audience quadrupled. We are so honored, thrilled and grateful to have been able to share these stories and this unique experience with each and every one of you. We’ve been simply blown away by the response and support this season and we can’t wait to do it again. So stay tuned! We’re planning more shows, including a second chance for Second Chances, and maybe even a surprise or two. We’ll also be collecting new stories all winter. If you’ve got an idea for a piece you’d like to produce, don’t wait for Spring, let us know now! A huge turnout for the True Romance show. It was a little more than a year ago when a handful of audio lovers got the inspiration to put on a listening party outside and invite the whole world. 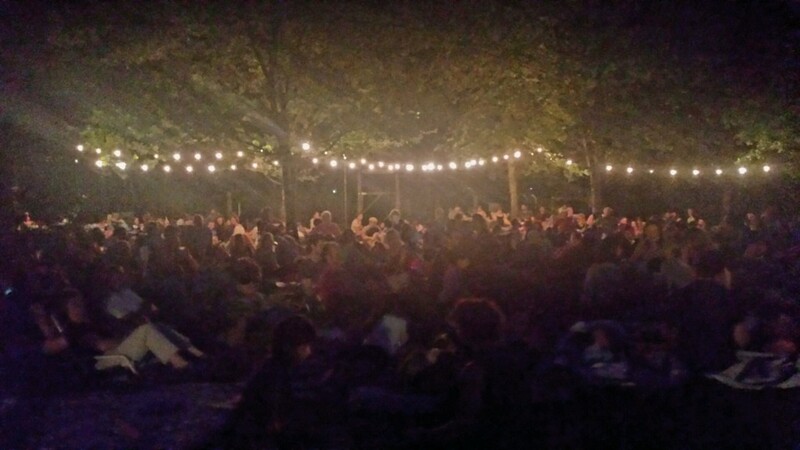 At the time we launched Audio Under The Stars, we thought a great turnout might be us and a dozen friends, lounging under party lights. We never could have imagined how quickly our audiences would grow, or the amazing amount of support we would find in the community. The August show drew more than 400 people, all eager to share stories of love. One of the favorites of the night was Reema Khrais’ story of Romania and Quincy Meyers, who fell in love on a DATA bus. Now, after an incredible second season, the summer is almost over. 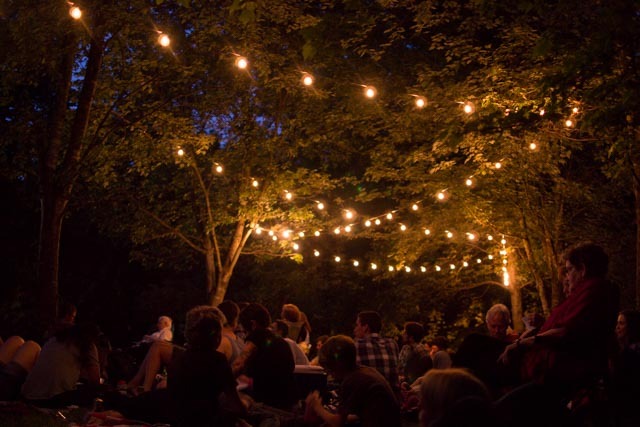 There’s just one more chance this year to join us in the backyard for inspiring audio. We’ll share stories of good intentions, bad ideas, rescue, revival, and redemption. We hope to see you there! July 22, 2015 / autsadmin / Comments Off on Who Do You Love? Who, or what, makes your head spin and your heart beat a little faster? What makes you happiest? Where do you turn for comfort? We’re looking for your stories of love, be it passionate, romantic, platonic or idealistic. There are two ways you can share your love story. If you have an audio piece you’ve made or heard that you’d like us to listen to, send it here. If you have a story you’d like us to record, sign up to share your story on Saturday, August 1, at the Museum of Durham History. Drop us a line at audiounderthestars@gmail.com or on Facebook to schedule a time to talk. 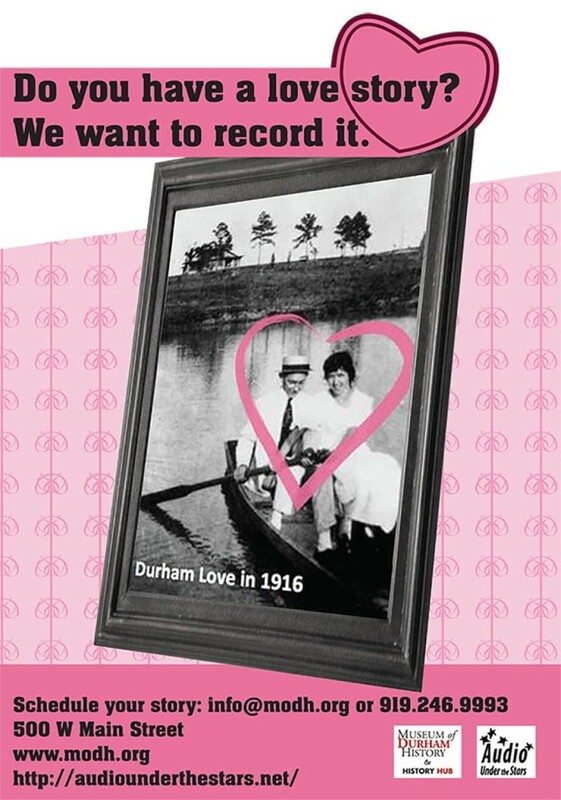 All stories recorded at the Museum of Durham History will be archived at the Durham County Library and some might be featured in our August show: True Romance: Love Stories of All Stripes. 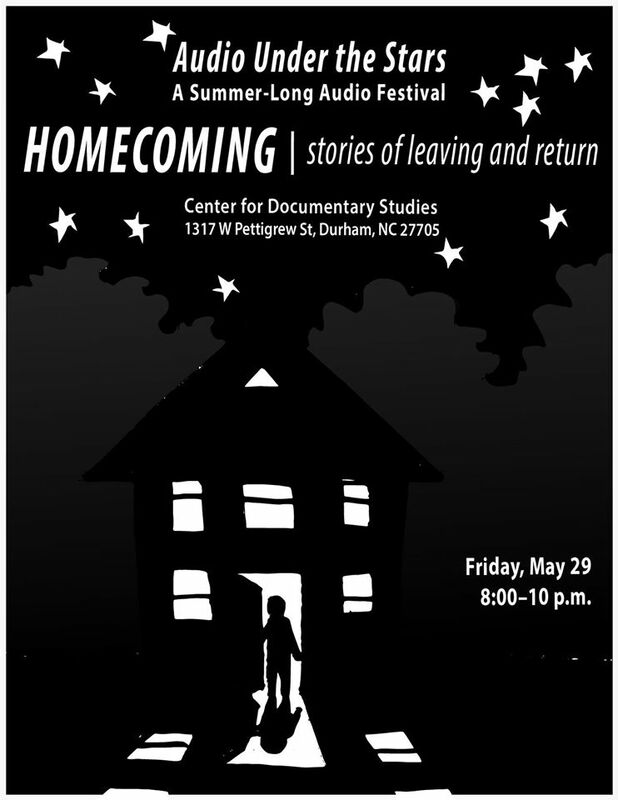 To usher in our new season and celebrate our collaboration with the Museum of Durham History, producers Jenny Morgan and Elizabeth Friend joined Durham native Kathleen House to talk with WUNC’s Frank Stasio about this month’s show on the theme of Homecoming: Stories of Leaving and Return. April 5, 2015 / autsadmin / Comments Off on Share Your Stories with Audio Under the Stars! 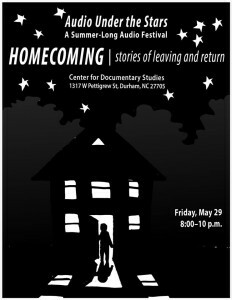 Durham’s favorite summer audio festival is launching its second season and to kick it off we’re looking for pieces ranging from 2-15 minutes that (more or less) fit the theme of Homecoming: Stories of Leaving and Return. At some point, we all leave home. Or do we? And who does the journey change–the ones who leave or the ones who stay behind? Tell us about your prodigal sons and why you can’t go home again. Or about a really cheesy dress you bought for that high school dance. We love sound-rich stories that make us think, make us laugh, and take us to places near and far. We especially love pieces based in Durham, in North Carolina, or made by local radio producers. Share your work or work you find compelling made by someone else. We want to hear it all, even if it’s not a perfect fit for the theme. Submit a story for consideration and send in as many pieces as you’d like! The deadline is 11:59 p.m. on Sunday, April 19, 2015.